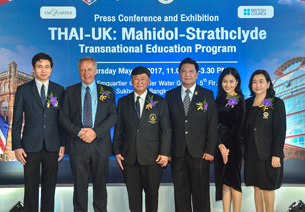 25th May 2017, Quatier Water Garden, EmQuartier, Sukhumvit, Bangkok – The University of Strathclyde and Mahidol University have established the THAI-UK: Mahidol-Strathclyde Transnational Education Program. This program will start in this upcoming semester. 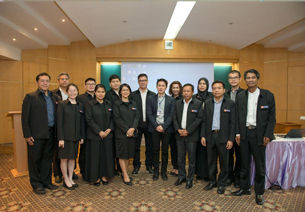 The goal of this program is not only for producing graduates with research and entrepreneurial mind set through the transnational education, but also to support the government policy for making Thailand the new value-based economy country or “Thailand 4.0”. 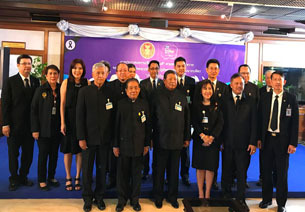 Dr.Jackrit Suthakorn, Dean of Engineering, Mahidol Unversity, mentions that this collaboration is originated based on the vice president visit to UK in 2016. After that both institutes hosted the joint visits as well as the joint symposium. Recently, the MOU has been signed by the presidents of both institutes. 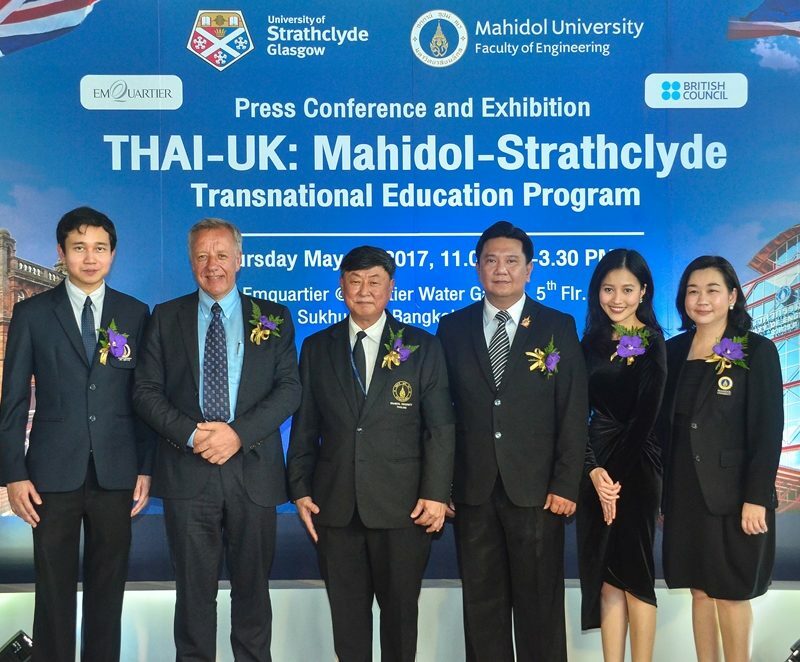 The University of Strathclyde is well known as the leading Entrepreneurial University, with this collaborative program, the Faculty of Engineering, Mahidol University, could efficiently produce graduates with research and entrepreneurial mind set. Dr.Alexander Galloway, Vice Dean of Engineering, University of Strathclyde, mentions that for a year of collaboration. 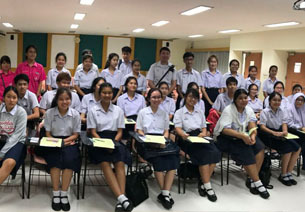 Many activities between two universities were going on including student exchange, joint research, and joint symposium. 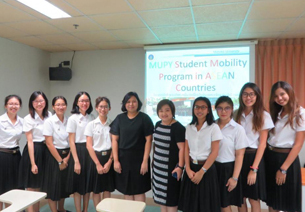 With a very strong background in medicine of Mahidol University, this transnational education could be beneficial not only for Thai students but also for UK students. 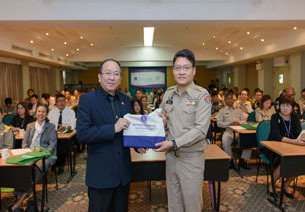 Dr.Norased Na Songkla, Chair of Biomedical Engineering, and Dr.Wanida Koo-amornpattana, Chair of Chemical Engineering, Mahidol University mentions that both institutes have successfully agreed on the co-program which students could take two years at Mahidol University and two more years at the University of Strathclyde and earn the undergraduate degrees from both institutes. 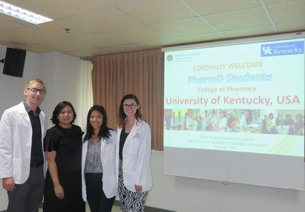 Both institutes have also agreed to extend this program to master and doctoral levels. The vice president of Mahidol University and British Council give the congratulatory remarks on the success of this collaboration on developing the joint program which will be started on this upcoming semester (August, 2017). Besides the press conference, exhibition of biomedical and chemical engineering innovations and startup have also been demonstrated. The innovations include the surgical and medical robots, drug delivery systems technology and neuroengineering technology.